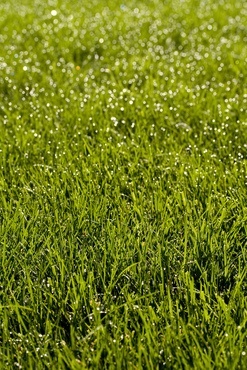 A type of grass available in various versions that offer a deep-green color, drought-tolerance, dense foliage, and are great in warmer climates. Sod is carpet-like squares of grass with a layer of roots and soil that can be laid down to create a lawn much quicker than using seed. Sod installation requires little expertise, but it is time consuming and will require specialized equipment. This should be taken into consideration when deciding whether or not to pay for installation. Bermuda sod costs between $0.40 and $0.85 per square foot.